TechEdSat-5 – a drag brake CubeSat – re-entered the atmosphere on July 29, 2017 after 144 days in orbit – indicating the craft’s drag brake provided a significant acceleration of orbital decay as non-propulsive satellites deployed from ISS typically last close to one year in orbit (give or take, depending on solar activity). TechEdSat5 is a 3U CubeSat that continues a project by San Jose State University and NASA Ames looking into drag brake technology and the possibility of sample return from Low Earth Orbit by CubeSat-sized craft. 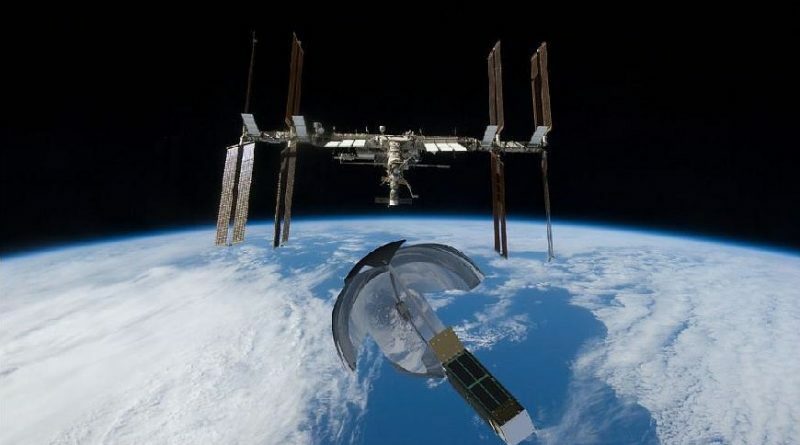 The first TechEdSat, a 1U CubeSat, was among the first group of CubeSats released robotically from ISS back in October 2012, completing a demonstration mission of the proposed CubeSat platform for future TES missions. Next was TES-3 in 2013, flying as a 3U CubeSat and marking the first flight of the Exo-Brake passive deorbit system to serve as a precursor to larger projects aiming to make passive deorbitation controllable – an important factor for sample return missions. TechEdSat-4 launched in 2014 and was similar to TES-3 with an improved tension-based Exo-Brake and a beefed up communications system for more frequent downlink opportunities. The main objective of TES-5 is to improve uncertainty analysis for eventual controlled flight through the thermosphere to achieve a controlled return architecture. Data delivered by the mission will improve prediction models for the satellite’s re-entry location, demonstrate basic technology for sample return from an orbital platform and deliver data for an On-Orbit Tracking Device that could find use in predicting the orbital evolution of items jettisoned from ISS. 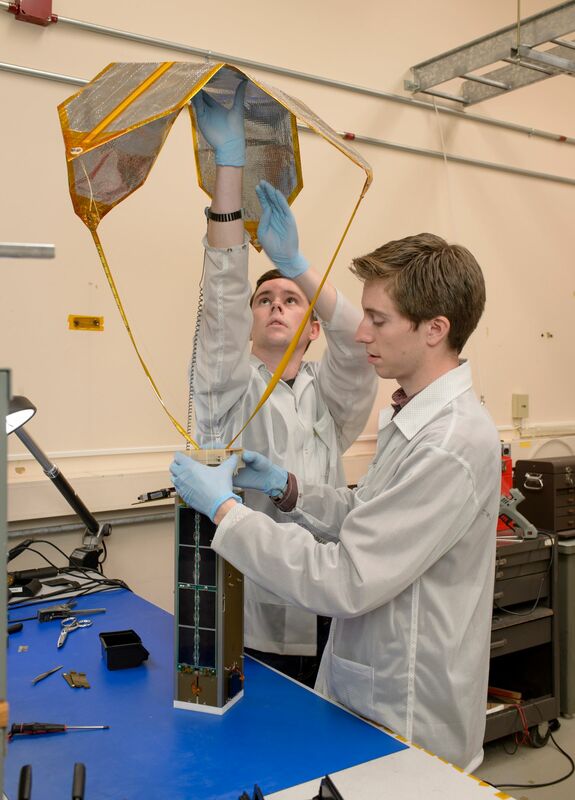 The TES-5 satellite features a new Wireless Sensor Module (WSM) which provides a WiFi-based wireless network for multiple sensors and the satellite uses an avionics package based on NASA’s PhoneSats. The 3.5U CubeSat hosts a modulating exo-brake that can actively modify its surface area (nominally 0.35m²) to control the satellite’s descent toward the atmosphere in order to coarsely control the entry point. TES-5 is hoped to deliver data over the course of a four-week re-entry experiment to help understand the thermophysics of the Exo-Brake for scale-up in the future to permit a re-entry within 1.5 days using GPS data to control the exospheric descent and set up for re-entry at a specific location.